Sunday, March 9–Sight and Bite–organized by Joyce Mancini–Steel Magnolias at FCT. This FCT play featured HHLT member, Aileen Drennan, as Ouiser Boudreaux. Saturday, May 6–Sight & Bite–organized by Joyce Mancini–Will Rogers Follies by FCT and dinner at the Stonewall Country Club. 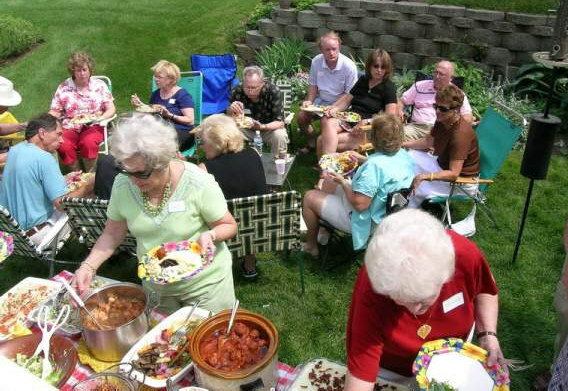 Sunday, August 12–Annual Pot Luck Picnic–hosted by Sil and Janice Zinicola. Sunday, October 8, Sight & Bite Nite, organized by Joyce Mancini, Vpstart Crow’s Seagull by Anton Chekhov and dinner at the Olive Garden.